The Ui24R is very flexible in how you can connect to it… Most types of connection can be used together but you cannot use the Ui24R’s own WiFi hotspot if you are connecting it via WiFi to an existing network – (1). LAN to a router – you can connect your Ui24r to an existing network via a Cat5 cable or create a new network round a router and connect with a Cat5 cable. 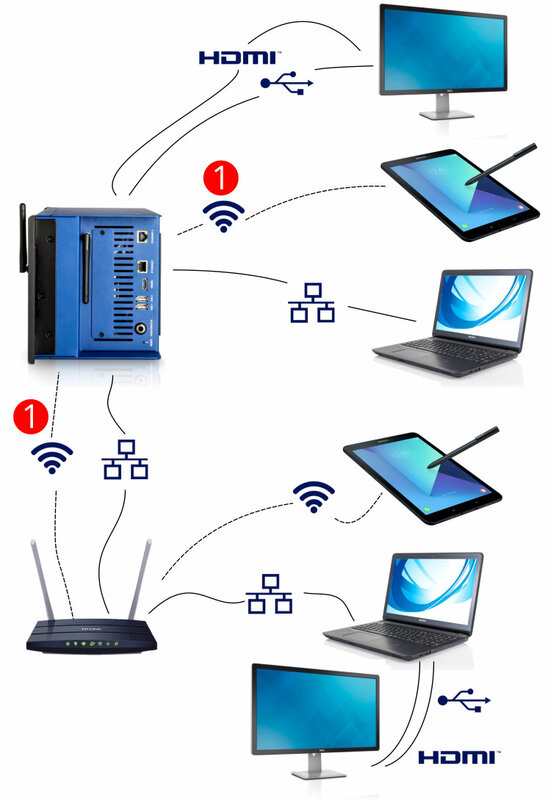 WiFi to a router – you can connect your Ui24r to an existing network via WiFi or create a new network round a router and connect via WiFi. If you connect a computer or laptop you can add a touch screen to the computer. If you use a WiFi connection, for the best results read these tips.